The Coca-Cola Company for distribution and production of Coca-Cola beverages in metro Atlanta. 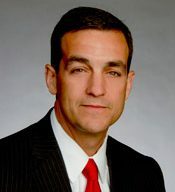 This transaction follows Coca-Cola UNITED’s December 2015 announcement in which it signed Letters of Intent with The Coca-Cola Company for the refranchising of the Atlanta distribution territory, along with production facilities in College Park and Marietta. “It’s both humbling and a tremendous opportunity to be the local bottler in the hometown of The Coca-Cola Company, and we take this new responsibility very seriously,” said Mike Suco, vice president of the East Region for Coca-Cola Bottling Company UNITED. 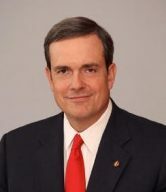 Suco is based in Atlanta and has been with the Coca-Cola System for more than 20 years. “We have extremely talented and experienced sales and production teams here in Atlanta, and I am impressed with their dedication to our local customers and communities,” Suco said. In addition to the 2,000 associates who have joined UNITED through this transaction, the company has added approximately 200 new jobs, increasing its overall employment in Atlanta by 10%. UNITED also expects to invest approximately $25 million this year on equipment, facilities and its delivery fleet in Atlanta, as part of its commitment to providing the highest levels of service to its customers. UNITED plans another $100 million in local capital investments in Atlanta during the next few years. 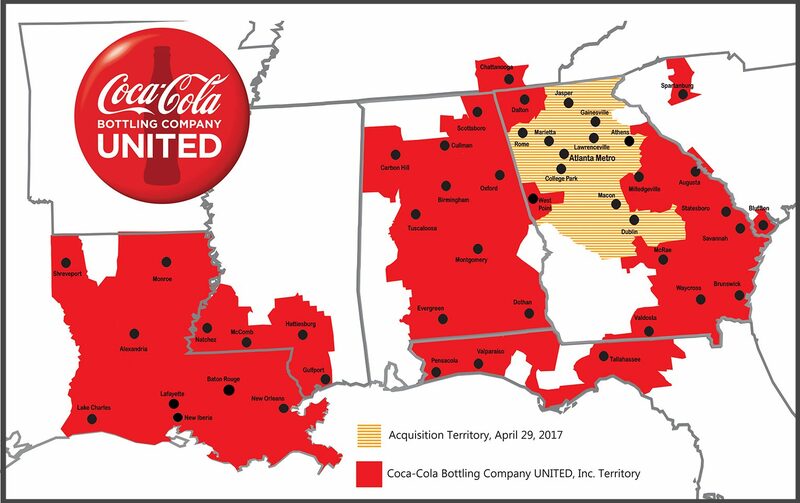 Since 2014, Coca-Cola UNITED has successfully acquired 26 distribution territories and four production facilities from The Coca-Cola Company, adding approximately 6,000 new associates. In addition to Atlanta, this recent transaction included seven other territories in north and central Georgia. Additional acquisitions resulting in continued growth of UNITED’s footprint are planned through the end of October. Coca-Cola Bottling Company UNITED (“UNITED”), Inc., which was founded in 1902 and is headquartered in Birmingham, AL. UNITED is the third largest bottler of Coca-Cola products in the United States and the second largest privately held Coca-Cola bottler in the North American system. The company is engaged in the production, marketing and distribution of Coca-Cola, Diet Coke, Coke Zero, Sprite, Fanta, Dasani water, POWERADE, vitamin water and many more beverages under exclusive franchise agreements with The Coca-Cola Company and other soft drink manufacturers. For more than 115 years, local relationships, personalized customer service, and strong community engagement have been the foundation of its business. 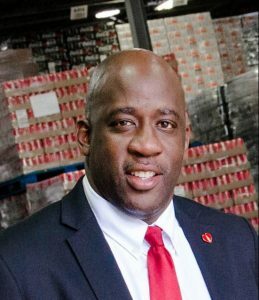 Coca-Cola UNITED is undergoing a major expansion, and by the end of 2017 will have approximately 10,000 associates located in 52 territories across seven southeastern states. For more information, visit us at www.cocacolaunited.com.